We are currently seeking an experienced Bid Manager to join our team in Guildford, Surrey. Do you have a strong commercial mindset? Are you client focused, with proven success in writing and winning high quality tenders and proposals in the environmental sector? If this sounds like what you are looking for, we may have the ideal opportunity for you! The role We are looking for a Bid Manager to join our growing ecological contracting business. You will be responsible for the preparation of tenders, quotations, and associated documentation required in bidding for new contracts. We work for Tier-one contractors, multi-disciplinaries, local and national government and ecology and planning consultancies. Our contracts range in value from £5k to £5million. You will be involved from initial enquiry, through to site visits, estimating, bid-writing, pre-award presentations and contract negotiation. As our Bid Manager you will be responsible for identifying and generating new business leads and managing and developing client relationships. You will manage the project from enquiry through to tender/quotation return and in doing so will fully evaluate the project requirements and accurately estimate costs. You will work with individual clients, building rapport to enhance success and compile concise and competitive tender packages. Once you’ve got the ‘win’ you will attend pre-start and site meetings and negotiate pre-contract terms and conditions. 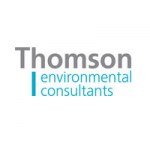 Thomson Thomson Environmental Consultants are experts in environmental compliance. Our specialist teams have been advising our clients across various sectors, on how to achieve their objectives and meet required environmental compliance since 2004. We cover a breadth of specialisms and are always pragmatic with our advice. With offices in Guildford, Leeds, Cardiff, and Birmingham, our teams assist with, ecological advice, surveys and assessments, habitat design and creation, ecological contracting, invasive species management, freshwater and marine consultancy, arboriculture, data management and mapping and last but not least, laboratory analysis including marine benthic taxonomy. We promote a happy, friendly workplace and are guided by the company’s core values of Respect, Integrity, Support and Excellence. We provide fantastic on-the-job training, opportunities for progression and a range of company benefits including 25 days annual leave, a stakeholder pension scheme, discounted gym membership, free parking and regular social events! have a positive ‘can do’ attitude, adopting flexibility with working hours when necessary. This role will be based from our modern offices on the picturesque Surrey Research Park. The successful candidate will live within commuting distance of Guildford or be prepared to relocate. Please apply as soon as possible with a personal statement and CV.